So it's the BCS Championship game tonight and football is on everyone's mind! 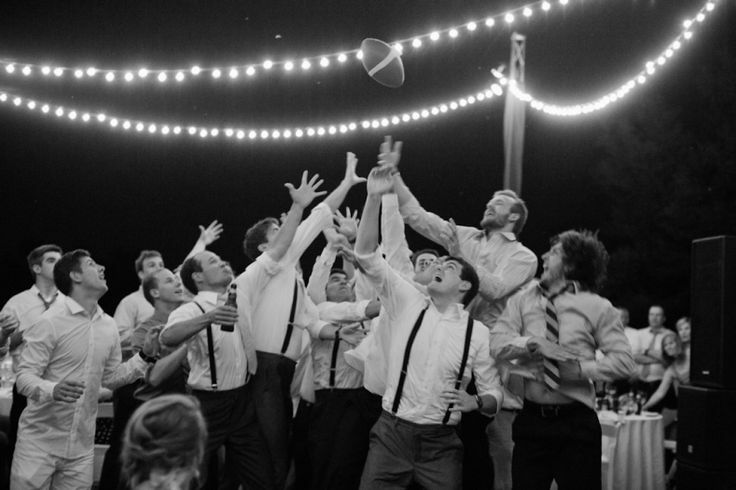 I thought I'd like to highlight one of my favorite way of bringing a man's personality back into his own wedding-- the football garter toss! 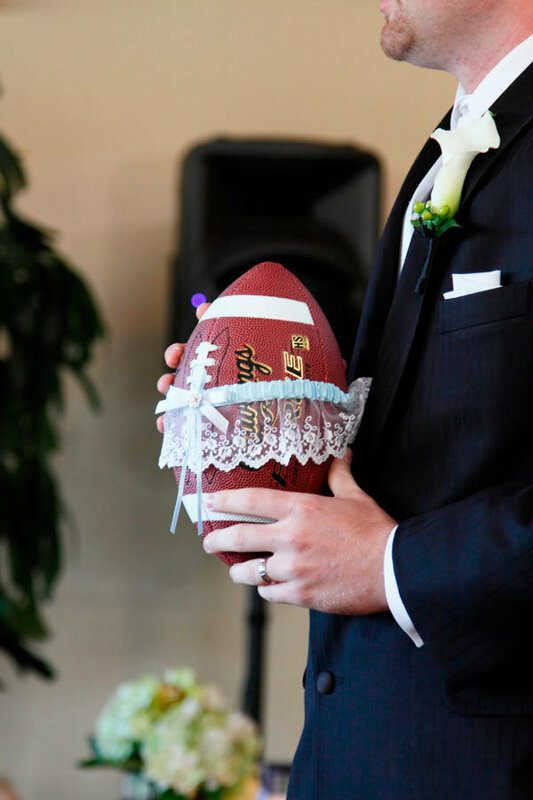 While a football could also be fun for an outdoor cocktail our that has croquet, corn hole, and other outdoor games, I love when it's whipped out for a garter toss throw. 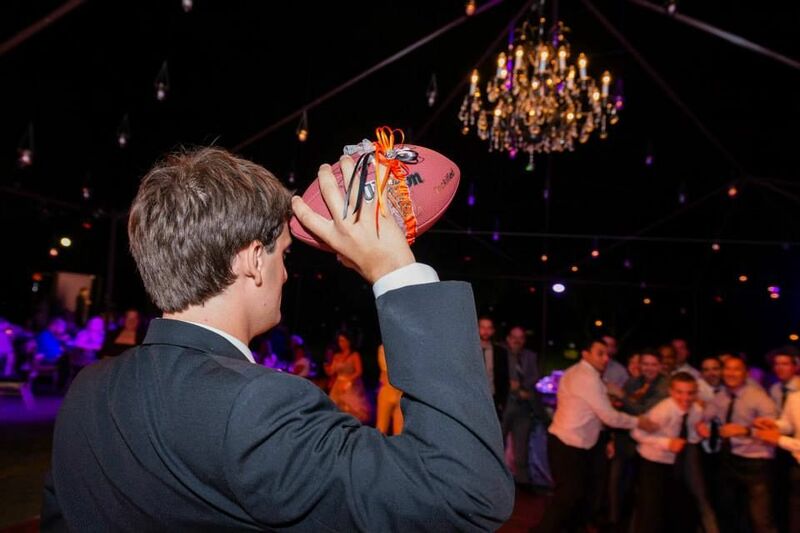 It's a surefire way to bring all the men to the dance floor (no milkshakes needed here, Kelis). 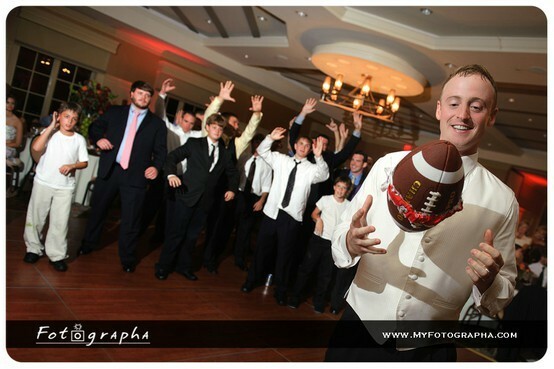 Will your groom victory dance in his "end zone" after a successful pass? Or take it to the knee like Tebow? 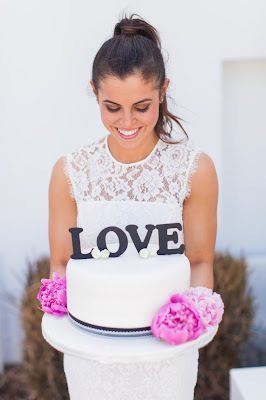 Who ever says grooms didn't get to make decisions in weddings? For a lovely monogram monday twist, why not monogram it? It could be a ball that is used for family games (Thanksgiving anyone?) for years to come!